So you have decided to buy a condo because of you want a comfortable lifestyle. Whatever you have decided to purchase the condo is great congrats! But we want to make sure that you thoroughly inspect the condo before you confirm. That's why it's a critical problem to find the condo inspector. We have many years of experienced and trained Condo Inspector Toronto who is licensed inspector that include a report with pictures included. The condominium inspection is a standard inspection done by qualified professionals. A condo inspection will suggest you make a good decision, the estimated maintenance and cost of repairs. You can ask a question how long will condo inspection take? The inspection depends on the condo size and the detailed report on site and one with images that will be emailed to you within 48 hours of my inspection. The condo inspection includes the system of the condos plumbing, electrical system, heating and air conditioning system, patio, kitchen, bathrooms, home appliances, walls, doors, ceiling, floor, and windows within the unit. Also, a detailed report is generated and it will hand over to the customers. Our inspector never compels you to buy a condo, simply they will give the structure of your condo and decision is yours. If there is major problem exist during the inspection the buyer may try to negotiate the price with the seller. The buyers are protected by provincial regulations during the warranty period. Make sure that your inspector reviews the recent status certificate to determine the general condition of the building and its potential deficiencies. Purchasing condo is a meaningful and big investment for everyone. It is very important to knows as much as you can before making the decision. You can save your time and costly repairs as well as good understanding of the condo's condition by our Condo Inspector Toronto. We services all over Greater Toronto in Canada. 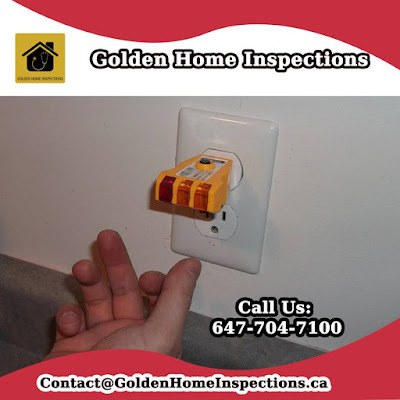 Our Golden Home Inspections service not only condo inspection including home inspection and commercial inspection at the affordable price. Don't get delay BOOK NOW on our online website "http://goldenhomeinspections.ca". Do you know why educated people conduct a home inspection? A home inspection is the best way to decide to buy a new home. If you think it is wast of money then the consequences will be met. Do you know why we do a home inspection? It is a professional evaluation of the condition of a home's materials. Mostly determine those materials are at their end of life and check the other signs of deficiency in the home. Commonly, a home inspection is not only focused on design considerations and cosmetic state. Don't consider a warranty or insurance policy, you can get a report about your home. Our Home Inspector Brampton having 10 years experience of home inspection and building construction. Here’s what makes a home inspection and why it’s important before signing on the dotted line. 1. Roof checks: The inspector never skips the roof check. If there is any damage exists, for example, that may be on the homeowners’ association (HOA) to fix, and it can hike up assessments to cover the cost of repairs. 2. A radar for radon: This odorless, colorless gas can lead to health issue also, this is very important to test before purchasing a home. 3. HOA Minutes: The HOA minutes are your most important tool helps to understand the condition of the building. Make sure you get a full 12 months of meeting minutes. 4. Knock on wood: Inspecting walls, ceilings, and floors are most important when it comes to home inspections since these areas are often shared with neighbors or common periods in a building. Make sure to check for water damage as well because sometimes there will visible water damage on the ceiling. 5. Seek out the HVAC: The HVAC unit may not necessarily be located for an individual home, If you have it for some reason then it should be inspected by a licensed HVAC inspector. 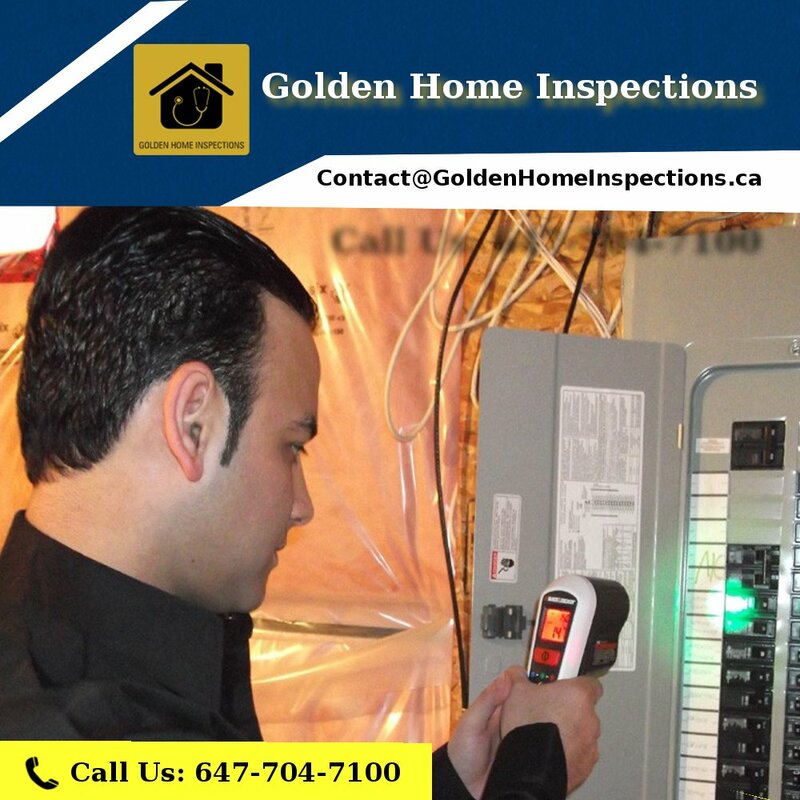 We recommend our golden home inspections which are placed in Canada. You ask a question How much do your services cost? Always professional and courteous, Golden Home Inspections offers $399 for the complete inspection of a water quality test report. It will help to take right decision regarding your home repairs. Can I come along with you on the inspection? Sure, We always encourage you, because it will help you in future. This messages will helps aware of home inspection. When choosing our Home Inspector Brampton you can take right decision to buy or sell your property. Here I am going to share you the story of my friend who bought a resale home in Brampton. And also I am going to introduce you the best Home Inspector Brampton who provide you the best Home Inspection services. The lifetime achievement of a human will be purchasing an own home and living in it for his lifetime. He will breathe, think, eat, and sleep with an ambition to own a house. My friend is also the same kind of person who had a great aim to own a house. As he is from a middle-class family, he crossed so many hurdles and put his all efforts to own a house. Finally, he achieved by saving a huge amount of money for purchasing a home. The home came for sale as a resale home. My friend got ready to purchase the home. Suddenly I got an idea about home inspections as it is a resale home. Some people told that the home inspectors will destroy the deal. My friend got feared because he liked the home very much and had a great desire to own it. He is innocent to know about the strength of the home and he believed the broker who brought this deal to him. I was not ready to allow him to purchase before a home inspection. I searched for the best home inspector who will provide all types of services at an affordable rate. Finally, I found out Yama Nehan who is the owner of Golden Home Inspections. I went to his website http://goldenhomeinspections.ca and found out that he is charging an affordable rate for inspecting the home. I contacted him for inspecting the home which is going to be purchased by my Friend. Yama Nehan came to the home and started inspection with the structure of the home. He continued it with the floor, Exterior, interior walls, and roofs of the home. He examined each and every brick of the home. He also checked the strongness of doors and windows. He made an overview of Electrical Wirings, Plumbing connections, etc. Finally, he gave a detailed report that explains the features of the home. He mentioned some small repairs in the home and it passed in his report which made us Happy. After making the repairs that Yama Nehan mentioned, my friend shifted to the home. We were very thankful to Mr. Yama Nehan because his report gave us an assurance about the home. Get the best services from the best Home Inspector Brampton for more beneficiaries as he is also a construction engineer. For more details, please visit (http://goldenhomeinspections.ca/services/). If you are planning to buy a house or if you’re going to sell yours, there are certain things that you need to be aware of. A smart buyer/seller must ensure that the house they’re going to buy or sell is in good condition. Therefore,for improving the chances of buying or selling a worthy property inspecting it is a must. We can get help from a Home Inspector Brampton. Today, I am going to go over some of the most important things you need to look for in a house. 1. No Evidence of Standing Water. There should be no standing water in the perimeter of the house. For those of you who do not know, the term standing water refers to a pool of water that doesn’t flow and thus stuck in that area. 2. No Leaks from Septic Tank or Leach Field. Inspect the Septic Tank to ensure that there are no leaks because leakage can cause a lot of problems. Also, inspect the Leach Field to make sure that it doesn’t have leaks as well. 3. No Damage on Exterior Structures. Look at the immediate exteriors of the house. Look at the fences, the walls, the doors, the garage and see if there are things that need to be repaired. All of them should be in good condition. None of them should suffer from termite damage or that the wood hasn’t suffered from rotting. 4. Railings on Stairs and Decks are Adequate and Secure. For the stairs, it must have a strong railing. If it is made of wood, it has to have a paint and have it furnished. Inspect if there are any damages. For metal railings, see if there are any rusts or damages and have it repaired or replaced. Have it painted for a nice look. 5. Downspout Drainage Directed Away from Structure. Make sure that the downspout drainage (a pipe that directs rainwater from a gutter) is not directed to the house, but rather on the ground. 1. Flashing Around Roof Penetrations. If the structure has roof penetrations (like Chimneys), there should be some flashing installed so that it will become weatherproof. 2. No Evidence of Roofing Cement/Tar/Caulk. See if there are any excess of roofing cement, tar, or caulk and have it removed (if there are any). Both of them are mounted under a roof and they should be free from any decay or stains. See to it that there are no obvious patches, cracks, or splits. Blisters are permissible, but they have to be very minimal. If you see significant damage on the roof, use waterproof tarps as a temporary cover before it is fixed for good. This should be installed properly and securely to the structure. There should be no signs of sagging and there should be no areas missing. Lastly, it should be cleaned thoroughly and if there are mud deposits, they have to be removed as well. 1. Wood Frames and Trim Pieces are Secure. It should be free from any cracks, rotting, or decay. 2. Joints Around Frames are Caulked. It should be Sealed tightly. Windows and Storm panes should be free from damage. Screen should also be scot-free and window seals should have proper insulation. 4. Drip Caps Installed Over Windows. Drip Caps allow water to run down the window, therefore, the water will not get behind it. See to it that it is properly and securely installed. 1. Sides of the House. They should appear straight, nothing should be bowed or sagging. If there are any signs of sagging, inspect to see if it’s caused by a damaged floor and have it repaired immediately to avoid further damage. 2. Windows and Door Frames. They should appear square that provides a nice look. 3. Foundation in Good Condition. Inspect that the foundation of the house is in very good condition. It should be straight and it should be devoid of any significant cracks. This should be in very good condition. It should be using a more modern type of wiring. Thus, it shouldn’t be using the old “knob-and-tube” wiring (although, some houses still use it for their attics). Make it appoint to remove any exposed splices. Lastly, the cables should be secured and it should be protected from the elements (especially from water). The Electrical Service Panel is a board with all of the wires attached from the electric post towards your home. This is where you control the electricity in your house. Inspect and see if it has adequate capacity and the components should not be overheating. The cable connectors should be in good condition as well as the fuse and the circuit breakers. If you see that something is amiss, you have to call the help of an electrician or have it serviced by your electric company. See if it is using copper wires with the correct amperage. You should never use aluminum cables for branch circuits! 1. Should be in Good Condition. Whether you’re using an insulator or a cooling system like an air conditioner, it should provide adequate airflow. Have them cleaned on a regular basis to ensure that the airflow is at its optimal efficiency. Otherwise known as the Flue Pipe, they should be correctly installed with no open seams. It should slope up correctly to the chimney connection. The purpose of Flues is to exhaust any exhaust gases produced by the chimney or your home insulation system. For the unit, it should be devoid of any rust as it can prove to be dangerous to your health. If rusts are present, be sure to have it repaired or have its parts replaced. Also, make sure that it is working in great condition. 4. No Combustion Gas Odor. See to it that your insulation system is not emitting any combustive gas odor. If there are signs of the odor being present in the vicinity, have it repaired or serviced. 5. Ensure that Filters are Clean. The air filters in your house should be clean so that dust will not build up, otherwise, it will be causing more harm than good. The Ductwork is responsible for the distribution of airflow from your cooling or heating unit. Therefore, it is important that it is in good working condition. Asbestos was used before in heating pipes, but it was found that it can be hazardous to your health. You see, Asbestos is a group of naturally occurring mineral fibers that are mostly found in rocks. They were widely used before, so you might spot them on older homes. However, its use is already uncommon in modern homes because of health risks due to the accidental inhalation of Asbestos. Therefore, you should inspect and see if there are any Asbestos on heating pipes, air ducts, and water pipes. If there are any, have them removed and replaced. There should be separate flue pipes for all gas applications and wood/coal systems. If you’re a Home Inspector Brampton, the above checklist is a godsend. But, for the most part, just seeing that everything is in good and working condition is already a huge plus. Are you selling home to the customer? When you selling your home to the customer, you might wonder if there are common issues are exist after a home inspection. Most buyers are getting aware of home inspection when they buy a new home. Also, they never purchased a place until it's been completely checked by a home inspector who finds the issues of the place. If you want to inspect your home call to our Home Inspection Brampton which is placed in Canada. When buyer inspect your home and if there some problems exist, then repair request after the inspection is a hassle and liable to cut into your profits. So you need to read your contract carefully to make sure you don't get locked into repairing something you don't want to fix it. Typically repairs are classified three ways. There are some repairs should be required before a lender will deliver funds to support a buyer's home purchase. Typically repairs contain structural defects, building code violations, or safety issues. If a home inspection reveals such problem, then you can get some bids from contractors to see how much the repairs will cost. Some buyer request for cosmetic repairs such as window's color, tiles and selves and they can only ask for fixes to structural defects, building code violations, or safety issues. Be sure to review your local commands to know judicially fall in your realm of responsibility. While buyers are always suggested to have a home inspection. The best contract for a seller would be for the buyer to accept to buy your home as is or to request an 'information only' home inspection. 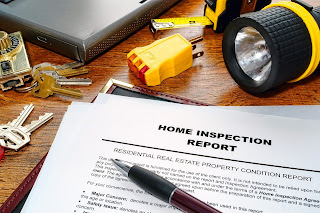 Are you going to selling a home or buying a new home, however, the home inspections help to reveal that whether your investment is precious or not? 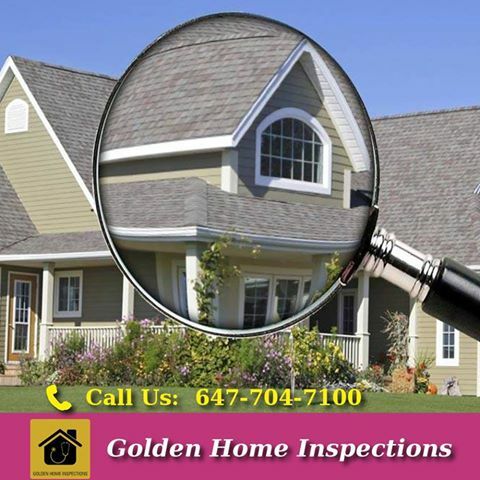 We recommend our golden home inspection to evaluate your home. with over 10 years experience in the home inspections and construction fields. You can get the inspection report within 48 hours at the end of the inspection. They not only give the report also images are emailed to you. Our Home Inspection Brampton services in GTA, if you are not in the GTA, please call us "647-704-7100". Book Now our online form to evaluate your home. It's a New Home - Why have it inspected at all? my builder says they will inspect it with me. New home construction is not without its problems, especially in the Ottawa area. Most homeowners are not professionally trained to determine the construction defects with their new home and yet both the Builder and Tarion Home Warranty program expect them to document and report all of their home's shortcomings at various intervals like the Pre-Delivery Inspections with the Builder, 30 Day and 1st, 2nd and 7th year of ownership. While most homeowners can identify cosmetic issues with their new home, often their untrained eye can overlook serious construction deficiencies. 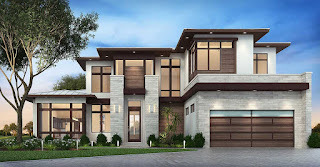 This is a job best left to a trained professional like a Home Inspector Brampton with New Home Construction Experience. Yes your Builder will conduct a a pre-delivery walk through inspection with you (PDI) however, they aren't going to pick your home apart as part of this process. This is their opportunity to show off their work - not criticize it. But the Home Is Insured by Tarion Home Warranty? That may be true, but like all insurance programs, Tarions is not perfect. Firstly, they will only consider covering what you claim. Secondly the program is often a frustrating process for new homeowners and often defects in workmanship are NOT warrantied. Unless you can substantiate that your findings are indeed "Credible" then you might get the run around. This is where having a Professional Home Inspector assist you can be of huge benefit. Meetings with your Builder like your Pre-Delivery Inspection, are their opportunity to showcase your new home, don't expect them to point out everything wrong with it. You however, will be asked at the PDI to identify all defects with your new home. Most homeowners tend to use the PDI to check out the cosmetics of their new home, not get into structural details. If you think new homes are problem free, we suggest you read this Tarion Survey first. It's clear to see that while some new homeowners are pleased with the Tarion coverage and process, many other are not. Also bear in mind that a professional home inspector should point out ALL defects with your home, whether they will be warrantied by Tarion or not. As a homeowner, you need this information to be able to "Protect your Investment" in the long run. If you have not yet purchased your new home, it is a good idea to consider the services of a Professional Home Inspector during it's construction. You will require that a clause be inserted into the Agreement of Purchase & Sale with the builder that stipulates that construction inspections are permitted. Some builders are hesitant to allow this service. If this is the case with your choice of builder, you may want to reconsider things. Many builders are at least permitting frame-walks or pre-drywall walkthroughs where you may be permitted to have your own home inspector accompany you. We strongly suggest that you consult with an expert real estate lawyer, prior to the signing of any new home purchase agreement. Your lawyer may also suggest that you have a copy of the floor plan for your new home, included in the agreement papers. If your builder will not accommodate construction inspections, it is still in your best interests to consider having a professional Home Inspector Brampton accompany you to your PDI (Pre-Delivery Inspection) prior to your occupancy and any money changing hands. During this PDI you will be asked to create a list of deficiencies with the builder representative (and of course the verbal assistance of your home inspector). After you move into your new home, there is generally a period of 30 days in which you may forward a list of building deficiencies to the Warranty Program. There is also another opportunity as you approach your first anniversary in the home. Your final list of home deficiencies needs to be submitted to Tarion Warranty within a 30 day period prior to the end of your first year in the home. Regardless of the time of year or how hot the real estate market may be, it's ALWAYS wise to make any offer conditional on key points like mortgage approval, and a "Home inspection to your satisfaction". Waiving these important conditions as a result of pressure from an overly anxious real estate agent or vendor can really land you in hot water when you find out after your dream home has more than it's share of costly issues and now you can't back out of the deal.. Your real estate agent may have included a clause in your offer to purchase, making it conditional upon a home inspection to your satisfaction. If there isn't a clause to that effect, then you need to include it. We would even go so far as to suggest that you add a clause stating that if your inspector suggests additional inspections by specialized professionals(such as a heating contractor or electrician), there be an allowance to accommodate them as well. An agreement of purchase is a binding contract, once signed, there may be little room for alterations or changes. No offer to purchase should be signed without seeking the advice of a reputable real estate lawyer who will ensure that your interests are protected within the contract. Rather than making your offer expire by a certain date, consider wording so that you have X numbers of business days after it's acceptance by the vendors to get all your conditions fulfilled. That way negotiations can continue without having to continually rewrite the offer because dates keep passing. It is highly recommended that you accompany the inspector during the inspection process. At Home Inspectors® we insist on your presence and encourage your active participation in the inspection process through questions and answers. Most of our clients who are buying a home, end up knowing more about it than the current owners! Please remember that part of the inspection occurs outdoors – so dress accordingly. Also a home inspection is not the time to showcase your new purchase to family and friends. We suggest that only those directly involved in the purchase attend as we will need their undivided attention to explain our findings throughout the Condo Inspection Toronto process. You should receive a written copy of your inspection report at the time of its completion. At Home Inspectors we provide you with a copy of your report generally onsite – We retain a second reference copy at our office. You may call us anytime for information, as advice is free for as long as you own the home. .
Can I hire my own home inspector before making an offer? I’d like to have a Home Inspector Brampton check out a property before I make an offer. The seller says she hired a home inspector and there’s nothing wrong with the place. Should I take her word for it? You’re going to need more details about the seller’s inspection before you make a decision. If the inspection was recent, and you’re convinced the inspector was qualified and took a thorough look at the seller’s home, you might have enough information. If the seller is sketchy with the details, can’t provide you with a copy of the written report, or you still have questions or concerns about the state of the house, I strongly advise you to insist upon your own inspection. Please keep in mind that you will first require the seller’s permission first. A home inspection is an on-site, in-person visual assessment of a home’s condition. An inspector will look at the home’s features and components and provide you with an honest appraisal of its overall condition without poking any holes in the building. Some inspectors may also be able to provide additional services, such as checking indoor air quality, or collecting and sending swab samples to a lab to detect mould. If you’re looking for a qualified Home Inspector Brampton, remember that your real estate will likely be able to point you in the right direction. Certain items, such as oil tanks, wells and septic systems should be inspected by someone who is qualified and knowledgeable in those types of inspections. Imagine Your Future in Brampton, Because Brampton has the ability to provide you with the options you are looking for. 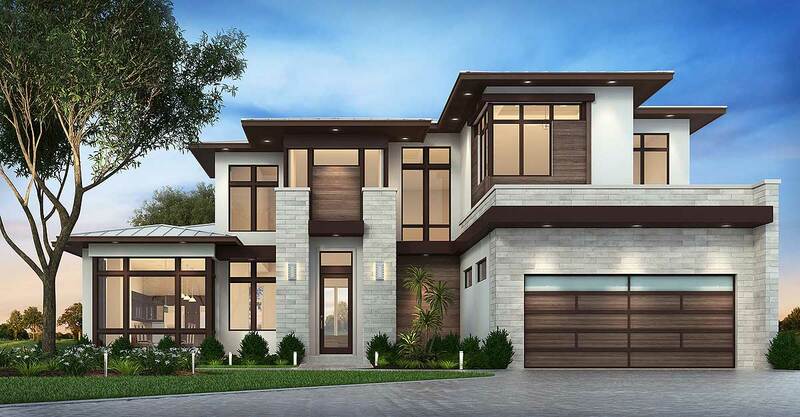 During your home purchase in Brampton, you will be supported by a Home Inspector Brampton and team of professionals who care about your success and satisfaction with your dream home.? goldenhomeinspections.ca, Our home Inspectors are passionate and want to share about the current condition of your dream home. With a population of 593,638, Brampton is the third-largest city in the Greater Toronto Area, and the ninth-largest city in Canada. With the median age at 33.7, it is the youngest community in the GTA. Brampton has attracted residents and businesses due to its proximity to the Pearson International Airport and road infrastructure, population growth, cost of land, and more favourable corporate tax structure. It is becoming a prime location for corporate head offices, factories, etc., as well as the typical domestic goods and services required to provide for the population. It’s easy to get swept up in the excitement of buying a new home and forget to make the important decision to have a home inspection performed before you sign the contract. When buying a home, you have the right to complete many different types of inspections of the potential home you’re purchasing. A home inspection is actually one of the most important process for home buying process. Whether you have shifted one home to another home or you’re going to buying your first home, a home inspection in almost every case, is highly recommended. A home is one of the big purchases and investments that is purchased in anyone’s lifetime. The costs associated with buying a home are not cheap by any stretch of the imagination. One of the most important reasons to conducting a home inspection is when buying a home is the peace of mind that it can provide. The primary purpose of a home inspection is to make sure the home is for the most part a very solid and safe home. By waiving the opportunity to have a home inspection, you may actually be creating additional and unnecessary anxiety and stress. By performing a home inspection with Brampton Home Inspector, you will have the added peace of mind that you’re purchasing a very solid and safe home. Are you going to buy a new home? Do you worry about how to hire a good home inspector? No, matter how amazing a home looks, the interior part of the home should be perfect that means you need to find a good home inspector. 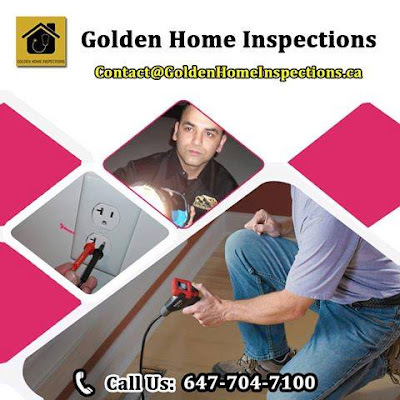 We suggest that in our golden home inspections having expertise Home Inspector Brampton in GTA. A home inspector examines a home and points out the issue, from a leaky roof to a foundation. Before you hire an inspector check whether their company is certified or not. For example, ASHI has its own certification that is rigorous and must be renewed every three years. Currently, we are noticing a lot of issues in news and magazine. Many countries facing natural Vulnerabilities such as earthquake and flood etc. A lot of people losing their houses and Stay on the street. So home inspection an important role when you buy a new home. Inspectors check only the visible parts of the home so your inspector flags something that looks amiss. When you find the good inspectors make sure their communication styles mesh because the person who's going to be explaining what they find in your house to you. -Radon Gas Inspections or Radon Testing. Are you in GTA? It is very simple to contact our team. If you are not in GTA, Don't worry! Just BOOK NOW or call us: 647-704-7100. Our team will assist you whether you are buying a residential or commercial property or simply want to learn more about your home’s regular maintenance needs. We assure that at the end of the report you will be happy by our Brampton Home Inspector . Our testimonials say our services. A home inspection is usually conducted by a home inspector who has the trained and certified. The home inspector describes the condition of your home but does not guarantee future condition, efficiency. If you want to do inspect your condo, then contact our Home Inspection Brampton. 1) Certificate of Occupancy conducted in town when building a new home, renovating home or sale of investment property. 2) Certificate of Habitability: This type of inspections ensure the certain health and safety codes and is therefore suitable to be lived in. 3) Fire Inspection: This type of inspections ensure that appropriate number and placement of carbon monoxide detectors and smoke detectors in your property. Usually required near bedrooms and near an internal combustion appliance, such as a furnace or water heater. State inspections involve on a citywide level, your state may require additional inspections on your property. Some states may need certain types of properties which are inspected every few years and meet certain habitability standards. There is no need to do this inspection for Single family and two family properties. 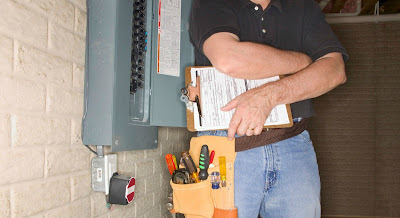 The inspector is concentrated if the property and the individual apartments meet all current health and safety codes. When work is done on your property is pass to the building inspection. The inspector inspects that is not plumbing, electrical or fire related. They concentrate on items such as framing, drywall installation, siding, roofing or a new staircase being installed. The inspector would need to finalize that all work has been done or not. We hope that you get the knowledge about home inspection services. 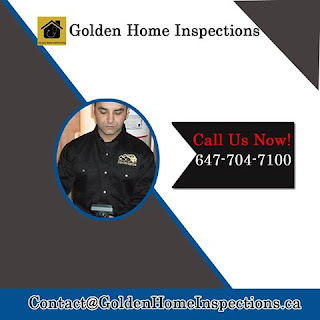 Our golden home inspector having over ten years experience in the home inspection and construction industry. They manage your home repairs and prevent you from experiencing escalating costs down the road. If you want a quality condo, contact our Brampton Home Inspection. A National Association of Realtors survey revealed, “only 64 percent of purchase contracts settled on time, 29% experienced delays and 7% fell apart.”Of the 7% that do not close, what gets in the way? • The remainder – buyer or seller cold feet, HOA’s creating obstacles, buyers losing jobs. Inspectors are often feared as “deal-killers”. Very few sales fail as a result of inspections. A deal that failed because of negative inspection findings is probably a positive for the seller, buyer, and real estate agent. Finding problems before a lot of money changes hands most likely prevents losses, future lawsuits, and hits to an agent’s reputation.“The best defense is a good offense.” A tough pre-listing (or seller’s) inspection will prevent the “surprise” negative inspection coming after all the parties have contracted. The seller can use the information to make repairs the seller wants to make and be prepared to discuss/negotiate the remaining. Listen to an expert. Gary Keller of Keller-Williams advises to always get a seller’s inspection. The president of an association representing B.C. home inspectors says an upcoming licensing-fee increase is a “money grab” that will hike prices for consumers and prevent people from entering the industry. Bob Hamm is also calling on the provincial government to roll back the increase — 95 per cent over three years — and look into the activities of Consumer Protection B.C., the agency that licenses home inspectors and approved the fee hike. HIABC is the largest of four associations representing home inspectors in the province. There are more than 500 licensed inspectors in B.C. On Dec. 29, home inspectors received notice from Consumer Protection B.C. that their licensing fees will go up starting April 1. Renewals will increase by 25 per cent each year for three years, and the cost of a new licence will go up by 36 per cent this year, followed by 25-per-cent increases in 2019 and 2020. By April 1, 2020, the cost of a licence renewal will almost double, to $1,025 from $525. The cost of a new licence will more than double over the same period, from $525 to $1,114. Service Alberta charges a business with three or fewer licensed inspectors $500 for a two-year licence. There will also be a two-per-cent annual increase for other charges over the next three years. Fees for replacement licences, late renewals and association accreditation have been eliminated. In response to an interview request, Consumer Protection B.C. provided a statement from spokeswoman Tatiana Chabeaux-Smith. “These fee increases reflect our need to recover costs for additional responsibilities we took on as a result of the changes made to the home-inspector regulatory model in September 2016,” the statement said. According to the agency’s website, the responsibilities include assessing qualifications, administering new requirements and assuming responsibility for consumer inquiries. However, Hamm alleged Consumer Protection B.C. isn’t doing the work as well as it should be, and that standards have fallen since it took over some regulatory duties from associations. That’s why when HIABC submitted an argument against the fee increase during stakeholder consultation in October, they copied Minister of Public Safety and Solicitor-General Mike Farnworth, Minister of Municipal Affairs and Housing Selina Robinson and Premier John Horgan. Farnworth, whose ministry is responsible for the legislation covering Consumer Protection B.C., was unavailable for comment, but said in an emailed statement that the agency is a non-profit that operates at arm’s length from government, and is responsible for determining fees for the sectors it licenses, including home inspectors. If the licensing fees increase at the expected rate, Hamm said the higher cost could dissuade people from entering the profession and be a burden on new inspectors. Customers will also be paying more for home inspections. “That’s almost a hidden tax on consumers because businesses are going to pass that down to consumers — they have to, to stay in business,” he said. For getting more information about Home Inspection Brampton, Please stay with our blogger page. Many buyers think that waste of time to hire a building inspector before purchasing a new condo or home. Prospective owners often assume a condo building and their unit of interest is fine and everything is working properly. Especially purchasers need to protect against those rare occasions where a problem occurs. If you want to do inspect your condo, then contact our Condo Inspection Toronto. You can ask the question What does an inspector check in a new condo? An inspector will ensure that your fan exhaust is properly connected and electrical system is to code and to meet any special electrical requirements you might have. The windows will be installed properly or not. A good inspector will check the common elements of the condo. HVAC systems in condos, especially high rise buildings, which are installed on the roof. So important that roof access which might require the assistance of the superintendent. If there is laundry hookup, we inspect it. Some inspectors think that condos inspection are fast and easy and some of them worry about the interior. Condos are not a half a home and their systems extend to the exterior. A complete condo inspection is more complicated compared to single family home inspection. Because it depends on the accessibility. building design and location of the condo in the building. Our golden home inspector having over ten years experience in the home inspection and construction industry. They manage your home repairs and prevent you from experiencing escalating costs down the road. If you want a quality condo, contact our Toronto Condo Inspection. Our testimonial says our services. Most of us who’ve worked in the trades for an extended time have developed procedures we use without a second thought. People who work with messy stuff have a supply of “dirty” rags nearby and, most likely, another one in their back pocket. Depending on the tasks of the day, there may also be a good supply of “clean” rags handy, too. If the job is a bathroom remodel and the work is in the beginning stage, the dirty rags are needed, as is an old throw rug for just outside the door. A long, heavy painter’s drop cloth nicely covers the hallway, but the rug will catch most of the crud before you track it all about. This makes for much easier cleanup, as well as keeping the mess localized.When the project is winding down, the “clean” rags and rugs get deployed. The cleaner the task, the cleaner the rags needed. Cleaning while caulking and painting gets nasty if the rags or paper towels have plumbers’ grease, old wax ring pieces, or sawdust in them. As always, final cleanup needs fresh, clean rags and high-quality cleaning solutions like vinegar and water. Rags and drop cloths are essential for those in-between parts of the project, too. A good drop cloth or rug laid out to protect the new flooring is needed when hanging a medicine cabinet and light fixtures. A dropped screwdriver or pliers can wreak havoc on new vinyl sheet-goods and baseboards. Heavy rags or, better yet, a sheet of corrugated (cardboard) laid on the floor and counter, then covered with rag rugs, will give a safe place to set tools and tool boxes. A sometimes-overlooked area that needs heavy-duty coverings is a new tub or shower. I know a contractor who spilled a can of purple cleaning primer for the PVC sink drain into the brand-new bathtub. The stain was not removable; he had to start the project over from the beginning. Another second-nature thing to many in the trades is closing the toilet lid and putting the stopper in sinks and bathtubs. This seemingly innocuous action will catch many dropped screw and nuts. When working on an outdoor deck hanging lights, or a screen door, a drop cloth will keep the errant dropped screw from falling between the boards. Seemingly small actions done with forethought help make projects flow smoothly About the House. Yama Nehan, well experienced Home Inspector Brampton will provide you more useful informations regarding the Home Inspections. How is your home? Is it in good condition? Are you thinking that I am talking rubbish? No, it is not correct. Checking our home which we are living at a particular time intervals is very important. This is because it is the place in which our whole family is living in happily. So, it is our duty to check its vulnerability with long years of service. To check its strongness, we are preferring Home Inspector. I am here going to introduce an important specialist in Home Inspector Brampton. It is very very important to check whether we are living in a good condition without any problem. While approaching the Home Inspectors, we have to concentrate more. There are a lot of Home inspectors are available today for the home inspection. We can search for the Home Inspector who can find problems outside the building as well as inside the building. SOme Inspectors will find only the problems which appear on the surface of the home. It is not enough to maintain the home in a good condition. We have to choose the Home Inspectors who can find out the faults even inside the building of the home. It will help you to find the problem inside the building of the home. If you are going to spend money for inspecting your home, then go with the best option. This will make you happier after inspection of your home. This inspection will include plumbing, heating, electrical, ventilation and water systems, the structural elements of the home, the foundation, the attic, the roof and the basement. In addition, an inspector will make note of the general state of the housing envelope and property. The Home inspector will inspect each and every place of your house and provide you the report. 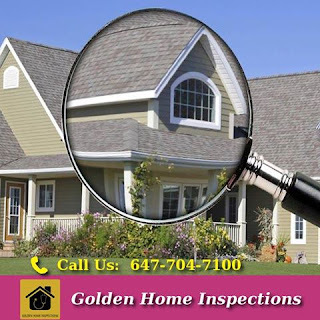 In Brampton, the Golden Home Inspection is the best Home Inspection company that provides you the appropriate and good services for the inspection of a home. Golden Home Inspections holds itself to high professional standards and unlike many inspection companies, is insured with liability and errors and omissions insurance. They are providing various services that will use for the best inspection process.